Press Release: July 31, 2017 (Originally released July 30,2017) By Sanman Promotions – Fighting in enemy territory has always been a tough task but Adam Diu Abdulhamid of the Sanman Boxing Gym is unfazed of his upcoming fight abroad as he battles a Thailander opponent on August 23 in Bangkok Thailand. Abdulhamid will trade leathers with the unbeaten Downua Ruawakiking for the IBF Asia Super Lightweight title. "I am not bothered being on the road. Once the bell rings, it's just me and him," said Abdulhamid, who has 11 wins (4KOs) and three losses. Abdulhamid is on a two-fight winning streak and has won nine of his last 10 fights. "This is going to be a good fight and we are confident of Diu's chances to score a big win," said Jim Claude "JC" Manangquil, chief executive officer of the Sanman Promotions. Ruawaiking will be putting his unbeaten slate on the line as he is yet to lose in nine fights with seven of those wins coming by way of knockouts. Manangquil said the upcoming card will be promoted by Jimmy Chaichotchuang of Kiatkreerin Promotions. Press Release: July 25, 2017 By Sanman Promotions - A daunting mission awaits Raymond Tabugon of the Sanman Boxing Gym as he is set to face unbeaten Australian fighter Andrew Moloney in "Punches at the Park 5" on August 19 at the Melbourne Park Function Centre in Victoria Australia. Sporting a 20W-7L-1D, 10KOs record, Tabugon expressed confidence of hurdling the daunting task. "I'm training really hard for this fight and I know I have a great chance of beating Andrew Moloney," he said. At stake in the fight are WBA Oceania super flyweight and OPBF Silver Super Flyweight belts. "This is a must-win for Tabugon. He is very confident and we are hoping to bring home the belts home," said Tabugon's manager Jim Claude "JC" Manangquil, chief executive officer of Sanman Promotions. Moloney is yet to lose in 13 fights with eight of the victories coming by way of knockouts. Another Filipino fighter will see action in the undercard with Lolito Sonsona of Jason Soong Stable taking on Andrew's twin brother Jason for the WBA Oceania and OPBF Silver Super Bantamweight titles. while Makiputin fell to 5W-2L-2D. Press Release: July 19, 2017 By Sanman Promotions - The rising Ben Mananquil of the Sanman Boxing Gym will be one of the fighters to watch out for in the upcoming "Brawl at the Mall: Collision Course" slated July 23 at Robinsons Place Atrium in General Santos City. Mananquil (13W-1L-2D, 3KOs) will be gunning for a fourth straight victory against Kim Lindog (5W-4L-1D, 4KOs) as he gears up for a bigger fight that Sanman Promotions chief executive officer (CEO) Jim Claude “JC” Manangquil is cooking up for him late this year. “I am planning to have him fight for the OPBF silver title on Sept. 9 versus Jhalel Payao,” said Manangquil. Payao is a stalwart of the Cebu City-based Omega Boxing Gym. Mananquil pulled off three straight wins after absorbing a split decision loss to Jing Xiang in Haikou, China last December 27, 2014. The match will be streamed live via Sanman Live. The Sanman Live card, which can viewed through Sanman Promotions' Facebook page, will also feature the fight of Jade Bornea against Nicong Calamba and the main event duel of Engelbert Moralde and Jestoni Makiputin. On July 15th one of the more interesting fights in the recent history of the 168lb. Super-Middleweight division will take place when IBO Super-Middleweight world champion Chris Eubank Jr. will defend his crown against former two-division world champion and current IBO number one Super-Middleweight contender Arthur Abraham at the SSE Arena, Wembley in London, England. This match-up, which will be televised on pay-per-view here in the United States, is in some ways a crossroads fight for both fighters. For the champion Chris Eubank Jr. this fight represents what could be the start of his campaign to become the Super-Middleweight division’s central figure. Eubank, the son of the legendary former two-division world champion Chris Eubank Sr., won the International Boxing Organization (IBO) Super-Middleweight world championship in February of this year with a tenth round stoppage of Renold Quinlan, has won twenty-four of twenty-five professional fights and will have what could be a difficult task in what will be his first title defense in the form of former world champion Arthur Abraham. The primary question that I have going into this fight is how the thirty-seven year old Abraham will attempt to combat Eubank. Abraham is a former two-division world champion who successfully defended the IBF Middleweight world championship ten times between 2005-2009 before moving up in weight to the Super-Middleweight division. Abraham has gone on to hold the WBO Super-Middleweight championship twice, but some might argue after fifty-one professional fights that he might be a fighter on the decline. Abraham however, has won two straight fights since losing the WBO Super-Middleweight world championship to Gilberto Ramirez in April of last year. The challenge for Abraham will be to neutralize Eubank’s movement and nullify his offense. Eubank is a fighter with a good mix of hand speed and punching power, but can throw punches from varying angles, which makes him a difficult fighter to combat. Abraham is a fighter who uses a high and tight defensive guard to block and deflect his opponents offense as he attempts to apply pressure by coming forward and looking to gradually break an opponent down. The former champion has scored knockouts in thirty of his forty-six career wins registering a career knockout percentage of 59%. Although he has the ability to get an opponent out of there should the opportunity arise, Abraham has shown that he is also capable of outworking an opponent as a fight progresses. Fighters who have good lateral movement and hand speed such as Andre Ward and Andre Dirrell have been able to outbox Abraham by outworking him and keeping him on the defensive. Abraham will face a similar challenge in this fight against Eubank. The twenty-seven year old Eubank has all the theoretical advantages going into this fight. Youth, hand speed, an unorthodox style, punching power and is capable of ending a fight with either hand as evidenced by his scoring knockouts in nineteen of his twenty-four career wins registering a career knockout percentage of 76%. Although Eubank’s movement and angles have proven to be a difficult task for his opponents, he does periodically drop his hands choosing to attempt to avoid punches with strictly head and lateral movement. Abraham is a first-class counter puncher and it will be interesting to see if Eubank shows any reluctance to drop his hands as to not leave the challenger a potential opening. When Eubank lets his hands go he is capable of varying his attack and keeping an opponent on the defensive. Given Abraham’s style of coming forward and working behind a tight defensive guard, one could expect that the champion will look to swarm the challenger with offense in spurts with the intent of keeping Abraham from being able to get off with his offense and using his movement to prevent him from closing the distance where he could get on the inside. What is at stake in this fight beyond a world championship and a position atop the Super-Middleweight division is a slot in the upcoming World Boxing Super Series eight-man single-elimination Super-Middleweight tournament that is scheduled to begin in September. With the 168lb. Suoer-Middleweight division featuring several top fighters and world champions all vying to become the number one fighter/central figure of the division, we will see if Chris Eubank Jr. or Arthur Abraham will be able to make a strong argument as being the number one fighter in the division and earn a spot in the upcoming Super Series tournament which will likely determine the Super-Middleweight division’s next central figure. Eubank Jr. vs. Abraham takes place tomorrow night (Saturday, July 15th) at the SSE Arena, Wembley in London, England. In the United States the fight as well as undercard can be seen on Integrated Sports Pay-Per-View for $29.95 on cable/satellite and the Fite TV app beginning at 2:30PM ET/11:30AM PT. Contact your cable/satellite provider to order. The Fite TV app is available on Apple app store and Android. For ordering information and more information about the Fite TV app as well as instructions on how to cast content from your phone or tablet to your television please visit: www.fite.tv. For more information on Integrated Sports Media please visit: http://www.integratedsportsnet.com. In Canada, the card can be seen on Super Channel beginning at 2:30PM ET/11:30AM PT. For more information on Super Channel please visit: www.superchannel.ca. In the United Kingdom, the card can be seen on ITV Box Office for €19.95 HD/€16.95 Standard Definition. For more information about ITV Box Office as well as a listing of cable/satellite providers where ITV Box Office is available please visit: https://www.itvboxoffice.co.uk. Check your listings internationally. We would like to let our readers know that new material will be released on Friday, July 14th. Stay tuned. "And That's The Boxing Truth." Anyone who has followed this observer's work both online and in print over the past two decades are probably familiar with my saying “Like Peanut Butter And Jelly, Boxing And Controversy Just Go Together.” A simple saying that has unfortunately gotten more use by yours truly through the years than I hoped would be the case when I first uttered those words many years ago. Of course, there is an appropriate time, place, and way to use such a saying, but some might wonder when is the appropriate time? Obviously, if one either covers or follows combat sports closely you will find no shortage of people expressing their opinions whether it be joy, disappointment, anger, and/or outrage after a combat sports event. Among the things one is likely to hear at least once if not more following an event is the view of those who think an outcome was “Controversial” or offer what could be described by some as conspiracy theories as possible motivations of a controversial outcome. Although this could easily apply to all combat sports, in Boxing, what distinguishes a theory of controversy from a legitimate controversy? Speaking from personal experience there are two common scenarios. Either a referee stopping a fight too early in the eyes of fans or the most common scenario in my eyes, a fight that is seen one way by those who view a fight either in a crowd or on television, but is seen a completely different way by those who are tasked with scoring a fight should it go the distance, the three official judges. Without going into a long and thorough journey through Boxing history on some of the encounters labeled controversial as that would be a full column in of itself, Boxing's latest “Controversy” is one that has certainly stirred debate. Despite being unbeaten in seventeen professional fights prior to challenging Pacquiao, Horn came into the fight as a significant underdog. Horn however, had scored three straight knockouts coming into the fight including impressive victories over former Welterweight world champions Randall Bailey and Ali Funeka. Although Horn had an impressive, but limited resume going into the fight with Pacquiao, one may have been justified in wondering if Horn was ready for a significant step up in the caliber of his opposition by facing a fighter who had spent much of the last decade at or near the top of most Boxing experts respective pound for pound rankings. Stylistically, Horn did have an exciting offensive-minded style that had an emphasis on combination punching as well as how effective he could be with his right hand as a focal point of his offense. As this fight approached I wondered how Horn would deal with Pacquiao's hand speed and angles, components of Pacquiao's offense that have bedeviled many an opponent over the years. This was of particular interest to this observer due to Horn suffering knockdowns in his fights with both Randall Bailey and Ali Funeka. What always interests me whenever there is a scenario where a heavy favorite faces a fighter who is not given much of a chance is to see if the underdog can get the respect of that fighter. To his credit, Horn attempted to do just that from the opening bell by coming out aggressively and bringing the fight to Pacquiao. What impressed me early on from Horn was how he was able to disrupt Pacquiao's rhythm and establish his right hand. I felt that Horn won the first round clearly due to how effective he was landing the right hand as well as some effective work he was able to do to Pacquiao's body. Pacquiao however, was able to land some solid counter punches early and I felt that Pacquiao's ability to counter his opponent would become an increasing issue for the challenger as the fight progressed. Although Horn was the consistent aggressor throughout much of this fight, I felt Pacquiao was more effective with his offense by landing the cleaner punches of the two. Through the first four rounds, I had Pacquiao winning three rounds to one on my unofficial scorecard. This was due largely to Pacquiao's ability to use his hand speed to catch Horn with offense as the challenger came forward. It should not be overlooked that there was a lot of fighting on the inside throughout this fight and on that basis some of the rounds could have been called “Swing Rounds” that could have gone either way depending on one's perspective and interpretation as to who got the upper hand. From this observer's perspective, Pacquiao's landing the cleaner shots as well as out landing Horn to the appearance of one's eyes is what I based my scoring on as well as his defense as he was able to make Horn miss and catch him in between exchanges with offense. Horn meanwhile was most effective in my eyes in rounds one, six, eight, and ten. It was in these rounds that I felt the challenger was able to control the tempo, land the harder shots, and keep Pacquiao on the defensive. What should also not be overlooked is this was a grueling encounter where both fighters suffered cuts due to both punches and clashes of heads. It appeared during the second half of the fight that Pacquiao was getting the better of the action and that rounds were in his favor due to landing the more effective blows as Horn came forward as well as his limiting what the challenger could do when he was able to get on the inside. Horn however, was still able to find a home for his right hand and was able to mix in some work to Pacquiao’s body in spots. The central moment in this fight in the eyes of many, including this observer came in round nine where the champion Pacquiao battered the “Game” Horn around the ring with punches with both hands. It appeared as though if Pacquiao could have pressed the action a bit more that he may have been able to get a stoppage, but to the challenger’s credit he was able to survive the surge of offense from the champion and get out of the round. Despite making it out of round nine, Referee Mark Nelson went to Horn’s corner after the round ended and informed the battered challenger that he was there to protect him and thought Horn had, had enough. After some pleading from Horn and his corner, Nelson informed the Brisbane native that he needed to show him something in round ten or he was going to stop the fight. To Horn’s credit round ten ended up being one of his better rounds of the fight in my eyes as he landed the more effective shots and was able to make Pacquiao miss. Although I felt Pacquiao was generally the more effective of the two fighters over the second half of this fight, there was no disputing that after such a hard effort in round nine in an attempt to get Horn out of there, Pacquiao was fighting fatigue in the last three rounds of what was a grueling fight. At the end of the twelve round world championship bout, I had Pacquiao winning eight rounds to four or 116-112 in points. Although Horn was extremely “Game”, I felt Pacquiao did enough over the second half of the fight to retain his title. Despite the opinion of yours truly as well as many others, the three official judges scored the fight in favor of Horn by scores of 117-111 (Nine rounds to three) and 115-113 (Seven rounds to five) on two scorecards making Horn the winner and new WBO Welterweight world champion as the crowd of 51, 052 erupted in excitement. Even though I felt Pacquiao won this fight and outworked Horn as shown in statistics provided by CompuBox as Pacquiao landed 182 of 573 total punches to Horn’s 92 of 625 total punches, Horn was consistently aggressive throughout this fight and was able to back Pacquiao up more than occasionally. It is important to remember however, that punch statistics are not a part of the criteria in which fights are scored. A challenge that can be present when it comes to fights like this for judges scoring a fight is to distinguish between what is aggression and what is effective aggression. As is the case with most decisions deemed “Controversial” by Boxing fans and experts, the three judges who scored this bout Waleska Roldan, Ramon Cerdan, and Chris Flores have been heavily criticized for their scoring. Although some of those critics questioned each respective judge’s credentials and qualifications, this observer has researched each respective judge’s record in an effort to answer some of the criticism and counting the Pacquiao-Horn fight the three judges Roldan, Cerdan, and Flores have scored a combined total of 1, 535 professional fights, many of which have been for world championships. Even though this observer stands by his score of eight rounds to four in favor of Pacquiao, Horn did back Pacquiao up throughout the fight bring the fight to him for much of the bout and that can leave an impression on judges even if a fighter does not always land clean with their offense. Despite the temptation that some might have following a “Controversial” decision to voice their respective point of view, which in my experience can come in the form of great passion and anger, this observer instead took some time before voicing his own view in the aftermath of Pacquiao-Horn beyond sharing my score publicly and uttering those all too familiar words “Like Peanut Butter And Jelly, Boxing and Controversy Just Go Together” in the moments after the decision was announced. In the one week since the bout took place there have been inevitable calls for investigations to take place, for the decision to be reversed, and for the three judges to be reprimanded for what has been seen as either “Unjust” or “Incompetent” scoring by some. Although Judges Roldan, Cerdan, and Flores are the only ones who can speak as to what they saw and what they based their scoring on and even though a scorecard of eight rounds to four from this observer might give the appearance of a lopsided fight, there were some rounds particularly in the first half of the fight that could have been scored either way. As this observer has often said over the years when it comes close fights, it will often boil down to what a judge prefers in their own individual criteria in how they score based on clean punching, effective aggressiveness, ring generalship, and defense. A practice where interpretation is also part of the equation. Following the fight, this observer polled his followers on Twitter as to who they felt won the fight and 69% of voters voted in favor of Pacquiao while 29% voted in favor of Horn. 2% of those who participated in this poll felt the fight was a draw. An illustration of how interpretation can vary among spectators even though Pacquiao received the majority of the vote. With much of the Boxing world sharing their point of view as to how they saw this fight and with those involved in it sharing their own thoughts, the question is was this a legitimate controversy? The sanctioning organization who’s world championship was on the line, the World Boxing Organization (WBO) announced earlier this week that they will review the fight with five anonymous judges from different countries to watch the bout and offer their own scores. 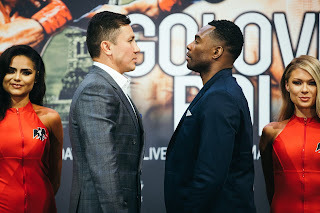 The organization however, has stated that this review will not result in a reverse of the decision, but rather to offer the Boxing fans certainty as to who won the fight. While the organization has no authority to reverse the decision based on judges discretion, they do have a rematch clause in the contract and one would have to assume that a rematch will be ordered. In thinking of how this “Controversy” has played out in the days since the fight, I have thought about Manny Pacquiao’s controversial loss in his first fight against Timothy Bradley in June 2012 as a fight that had a similar fallout and circumstances. Much as was the case with Pacquiao’s latest loss to Jeff Horn, many including this observer felt that Pacquiao won the fight against Bradley in the first of what became three fights. As some readers might recall, I scored every round of that first encounter in favor of Pacquiao, but I did state although I stood by my score that there were a few rounds throughout the fight that after further review of could have been scored in favor of Bradley depending on one’s perspective. Although there was not an immediate rematch between Pacquiao and Bradley, Pacquiao eventually rebounded to win two out of three fights in the trilogy. Given that there is a rematch clause for Pacquiao-Horn and seeing as Horn was the number one contender/mandatory challenger as recognized by the WBO that the best case scenario is for an immediate rematch to take place possibly before the end of 2017. What has been overshadowed in this “Controversy” was that this was a great fight between a legend of the sport against a “Game” undefeated challenger. In terms of success, the fight, which was broadcast by ESPN in the United States drew 4.4 million viewers. A sign of the changing environment of the sport as well as television consumption as a good sign of the benefit of moving away from a “Pay-Per-View” mindset in regard to allowing Boxing fans to see the upper echelon of the sport compete without having to pay what has become an ever increasing price over the last decade. Although some might suggest that what is seen as a “Controversial” outcome might discourage networks from continuing to invest in the sport in an effort to bring Boxing to the biggest audience possible, this observer does not believe that will be the case. While there is a difference of opinion as to who won Pacquiao-Horn, Boxing fans should celebrate the fact that not only were they treated to a great fight, but they were not asked to pay an inflated fee to see it. We would like to let our readers know that material discussing the July 1st WBO World Welterweight Championship fight between Manny Pacquiao and Jeff Horn is in the works and will be released on Saturday, July 8th. Stay tuned. "And That's The Boxing Truth." The official weigh-in for Saturday’s WBO Welterweight world championship fight between champion Manny Pacquiao and undefeated WBO number one contender Jeff Horn took place on Friday in Brisbane, Australia. The official weights for the entire card are as follows. Main Event: WBO World Welterweight championship – 12Rds. Manny Pacquiao (Champion) 145 3/4lbs. vs. Jeff Horn 146 1/4lbs. Damien Hooper 174 1/2lbs. vs. Umar Salamov 174 3/4lbs. Shane Mosley Jr. 159 1/4lbs. vs. David Toussaint 159 1/2lbs. IBF World Jr. Bantamweight championship – 12Rds. Jerwin Ancajas 114lbs. vs. Teiru Kinoshita 114 3/4lbs. Michael Conlan 125 1/4lbs. vs. Jarrett Owen 125 3/4lbs. Brock Jarvis 117 1/2lbs. vs. Rasmanudin 117lbs. Jonel Dapidran 140lbs. vs. Brent Dames 139 1/4lbs. Pacquiao vs. Horn takes place Tonight (Saturday, July 1st) at Suncorp Stadium in Brisbane, Australia. The card can be seen in the United States on ESPN beginning at 9PM ET/6PM PT and will also be available on the ESPN and Watch ESPN apps. For more information please visit: www.espn.com. In the United Kingdom and Ireland, the card can be seen on BoxNation beginning at 1AM (Sunday, July 2nd Local UK Time.) For more information please visit: www.boxnation.com. Check your listings internationally.